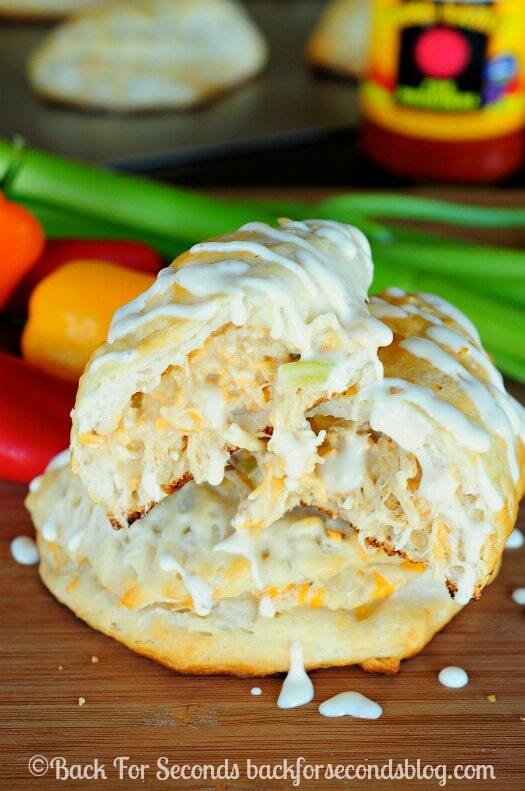 Have dinner on the table tonight in under 30 minutes with these Easy Buffalo Chicken Empanadas! I love easy meals, don’t you? When I can take just 15 minutes of prep work and even less cooking time, and end up with a fabulous dinner that everyone loves, it makes for a happy lady. 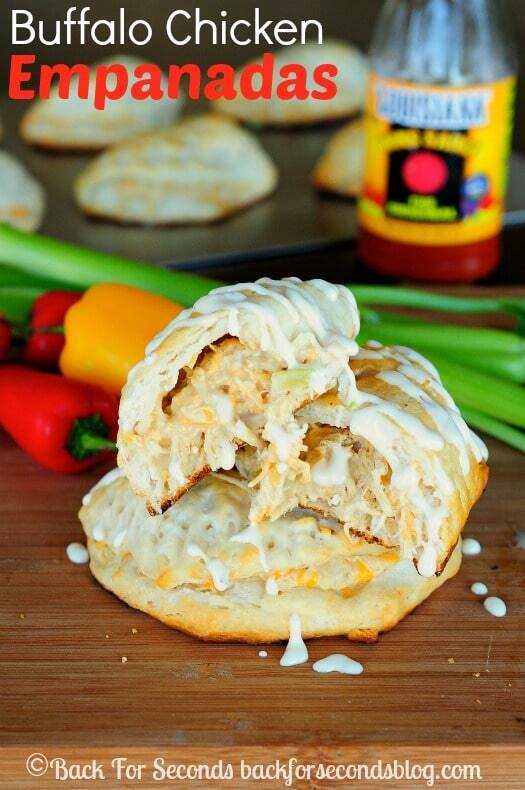 These Easy Buffalo Chicken Empanadas are a real crowd pleaser – they’d make a great snack for game day too! Now if you have little ones or just don’t like much spice, feel free to cut back on the amount of wing sauce used. Or do what I do and divide the filling – half without spice and half full spice. Everyone’s happy! The filling in these empanadas is so delicious! It’s creamy and cheesy, crunchy from the veggies, and has a nice kick. The warm, flaky, buttery crust is the perfect compliment. These Easy Buffalo Chicken Empanadas are so full of flavor, it’s almost embarrassing how little effort is needed to put them together. Double or triple the recipe for a party, or use smaller biscuits to make appetizer sized empanadas! They are sure to be a hit!